Did you know that nearly 1 in 5 job seekerscurrently use their mobile device when actively searching for new employment? 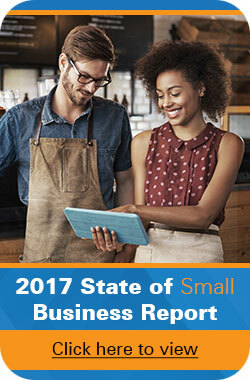 Unfortunately, there are many small businesses that do not have an active mobile presence. So, how can you harness mobile technology to attract all those job candidates and potentially find your next top hire? Allow us to help; here are 5 ways you can boost your recruiting efforts through mobile technology. Chances are you have some sort of social strategy in place for your small business. Whether it’s Facebook, Twitter, LinkedIn, or Foursquare, there are a plethora of opportunities to tap the mobile market. Many of your fans are likely using mobile devices to check your brand’s social feed or check-in at your business. Why not harness Foursquare to promote a job fair you will be attending? Have a Twitter account? Be sure to push out job openings and use targeted hashtags such as: job, hiring, career, and interview. As QR Codes begin to grow in popularity, recruiters are beginning to incorporate them even more into their mobile recruiting strategies. Post an ad promoting your job opening and invite job candidates to scan the code for more detailed information of said opening. Better yet, hand out QR Codes at job fairs to speed up the application process. If you’re tracking its usage, you’ll have a good idea as to how many people stopped by your booth. Not sure where to find a QR Code? Don’t worry; our QR Code generator is at your disposal! Studies show that by 2015, Internet browsing via mobile devices will surpass that of traditional desktop browsing. So, having a website that is optimized for mobile has never been more important. While many businesses optimize their site for mobile commerce, they often overlook its career page. If job candidates cannot access your careers page via a mobile phone, then you’re potentially cutting out nearly 20% of job candidates. Much like a mobile career page, having a mobile app for your business is a great way to push out job openings, as well as any company updates to your fans. In fact, nearly 24% of the U.S adult population actively uses mobile apps. Using an app for recruiting seems like a no brainer, but if you still don’t believe us, check out our latest blog on mobile apps for small businesses. Are you pushing out video content on YouTube? You should, here’s why. 13% of all daily views on YouTube come by way of mobile devices. Creating a “day in the life” or “behind the scenes” video of your business and its culture is a great way to attract new talent, but be sure it’s optimized for mobile usage. Are you currently using mobile technology for recruiting purposes? Let us know what methods work best for your small business by commenting below. “Creating a “day in the life” or “behind the scenes” video of your business and its culture” is a great idea to showcase a biz and allow potential employees access the culture within an organisation. Thanks for sharing these super suggestions.